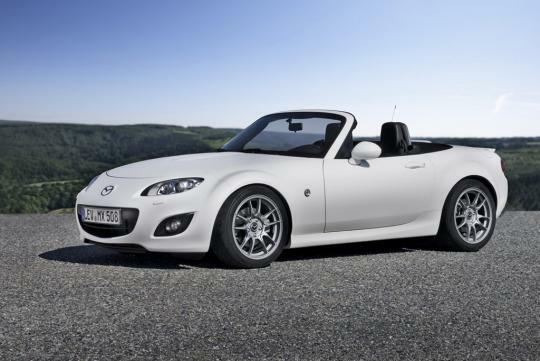 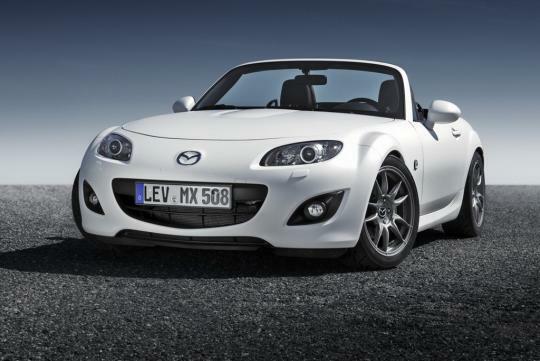 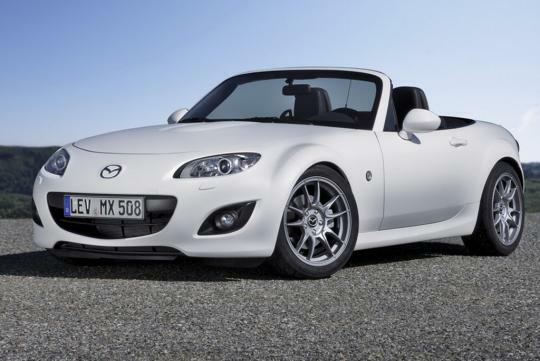 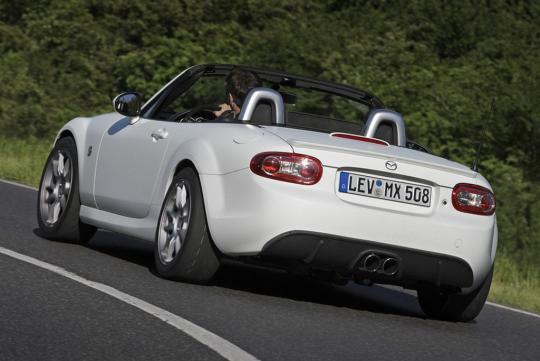 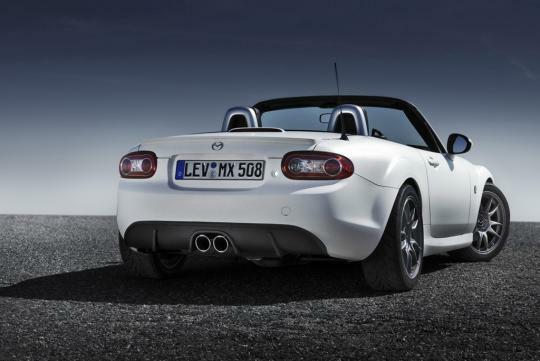 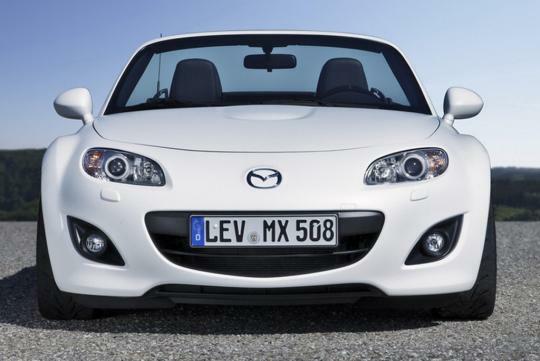 Mazda unveiled the MX5 Yusho prototype at the 2012 Auto Mobil International Show (AMI) in Leipzig, Germany. 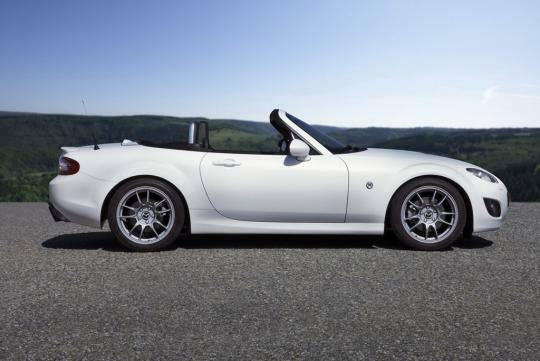 Named after the Japanese word for "Victory", the matte white finished sits on 17-inch anthracite grey alloy wheels wrapped by semi-slick 215/45 R17 tires. 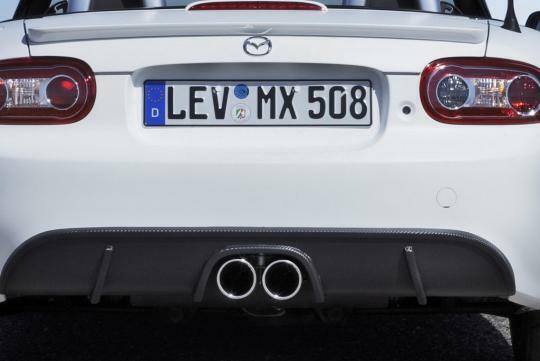 The prototype sits lower with a boot lid spoiler and a carbon-fiber rear diffuser with twin centre mounted exhausts. 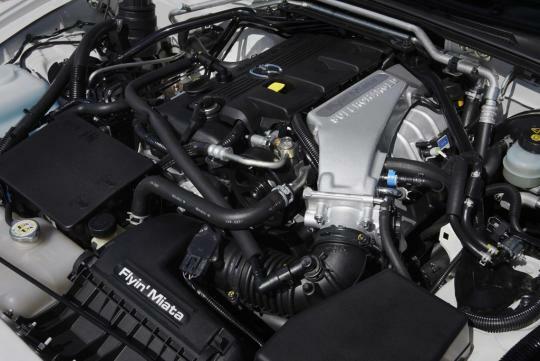 Under the bonnet, you can find a supercharged 2.0-litre four cylinder petrol engine, together with an intercooler, special Cosworth pistons and connecting rods. 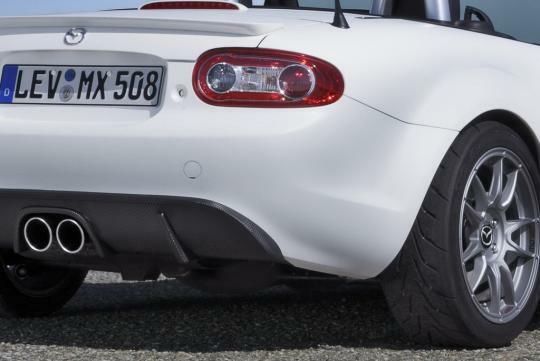 A custom exhaust system, reprogrammed software, fuel injectors, metal sport catalysts are connected to a transmission with a sports clutch. 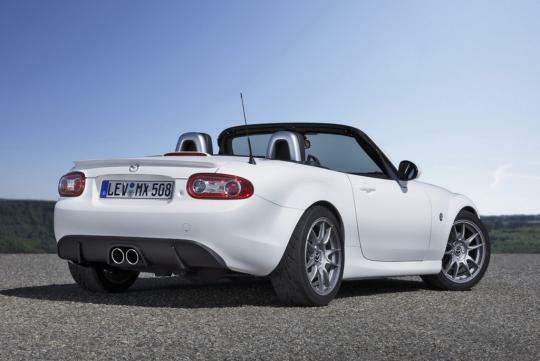 All the above mentioned and rather overhauled powertrain has a maximum output of 237hp and peak torque of 274Nm maxing out at 240km/h. 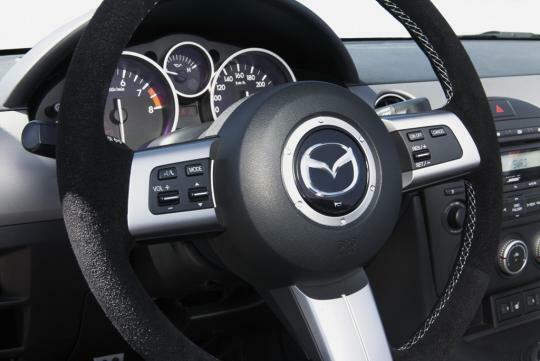 In the cabin, you find a suede-trimmed steering wheel and leather/alcantara finished Recaro sport seats. 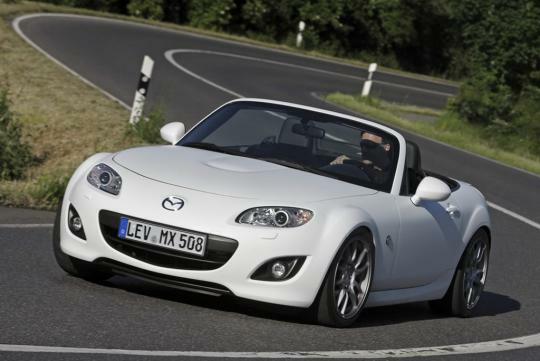 To be honest we have no idea what is the motive of this prototype as Mazda hasn�t announced plans to put it in production. 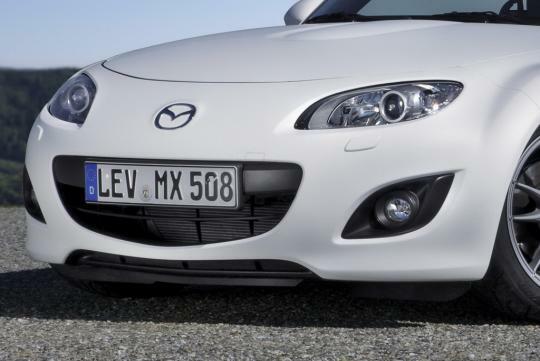 Ugly front. 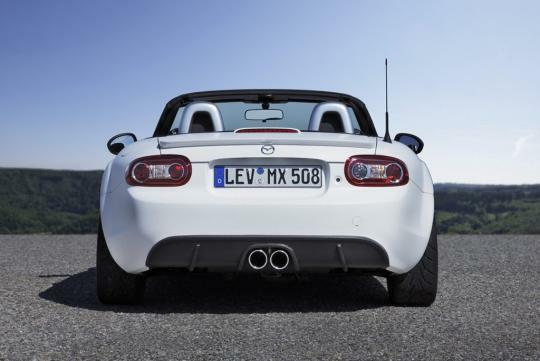 Why spoil MX5 by giving a Mazda 3 failure feature!! 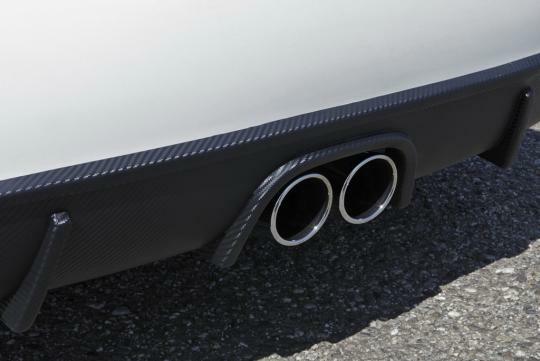 Aargh.